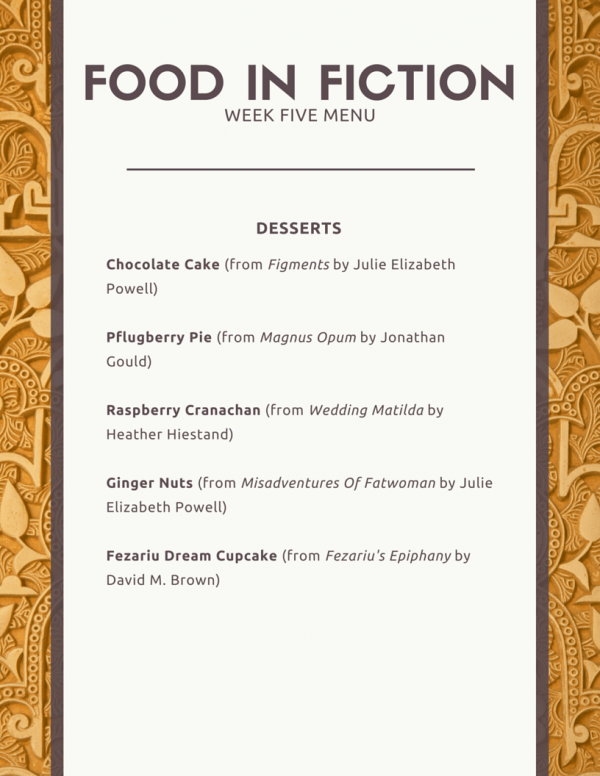 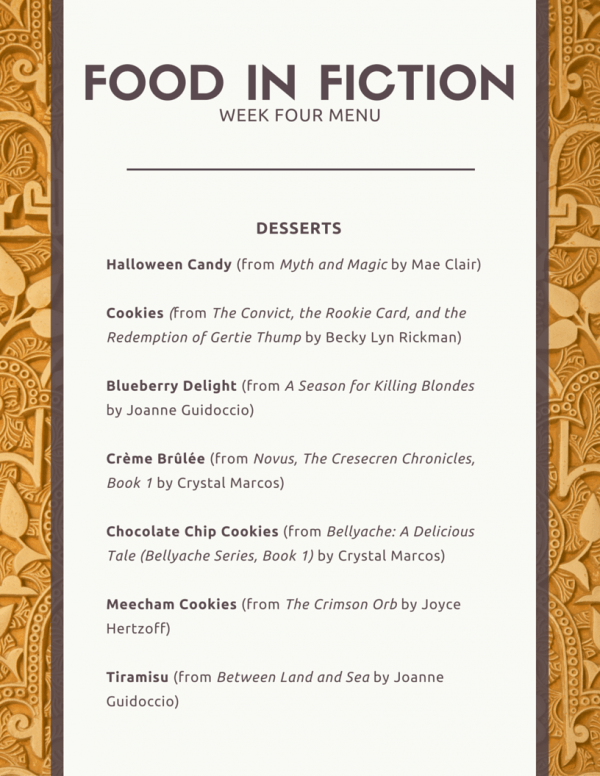 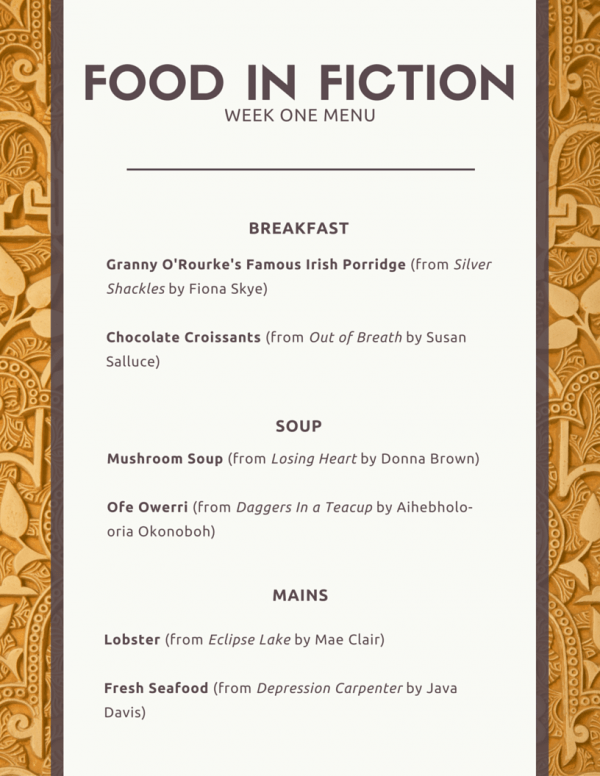 My overwhelming thanks to everyone who has now signed up for Food in Fiction and helped create our bookish menu! 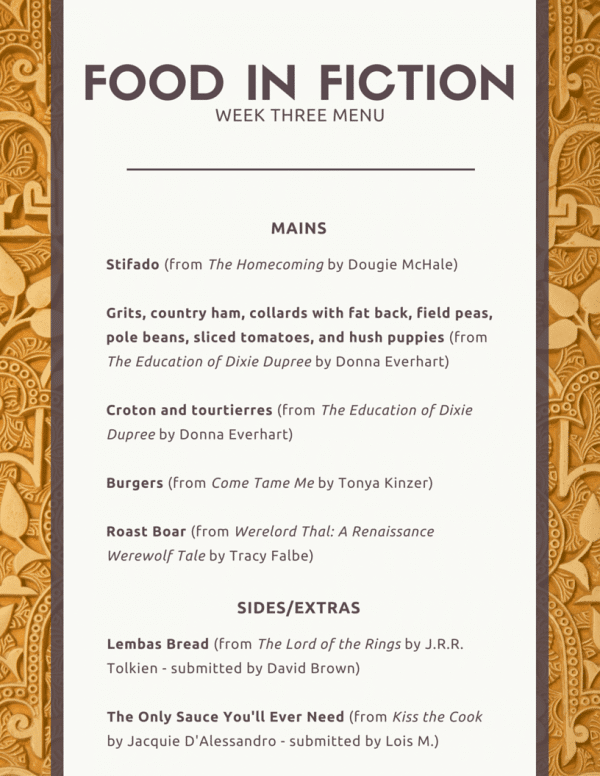 The menu is now prepared and the schedule for posts throughout September is shown below. 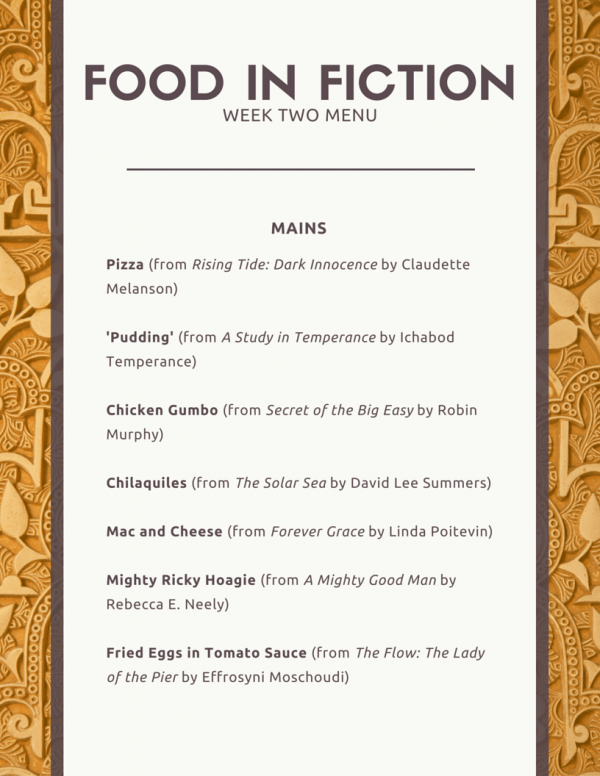 Spread the word, submit your locations and keep stopping by each day to Tweet about Food in Fiction – each of these will give you a chance to win. 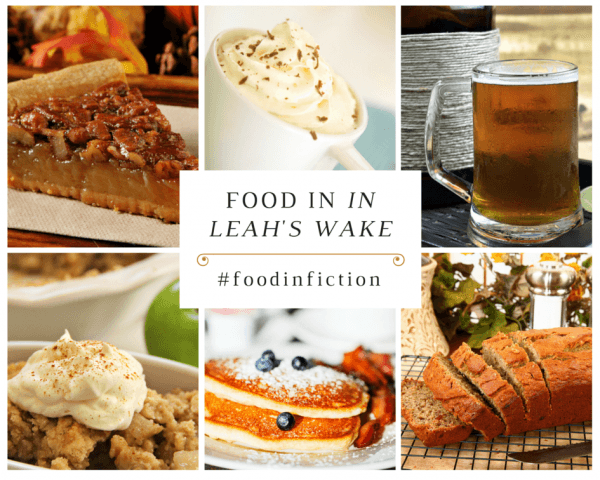 Check out the Twitter chatter, plus Instagram and Pinterest pics using #foodinfic. 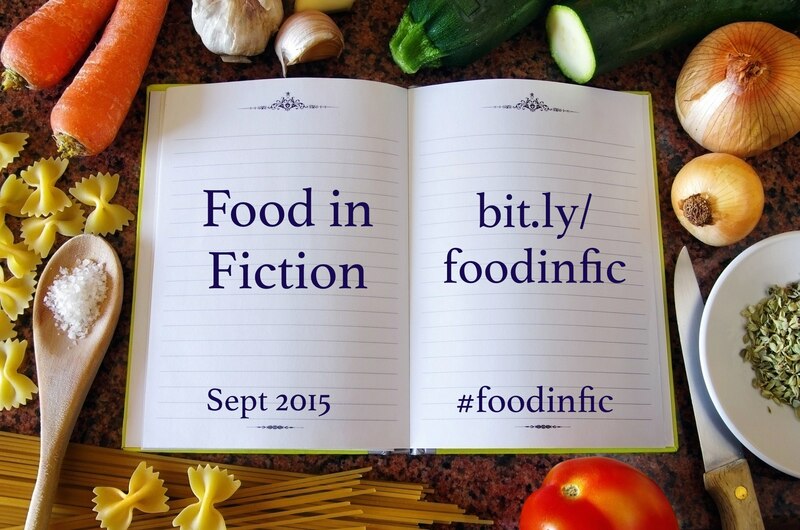 You can easily follow the #foodinfic Twitter feed here.